Designed to support the high protein requirements of athletes, including bodybuilders and anyone with an active lifestyle. 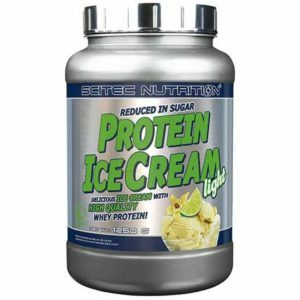 Contains 30% of quality protein from multiple popular sources. 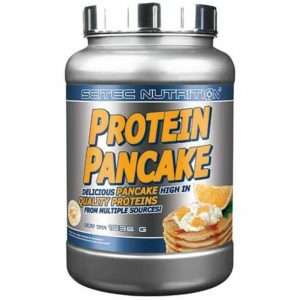 With Protein Pancake from Scitec you have more nutritious pancakes always easily available, because they are quick to prepare. Size: 1036 g = approx. 28 servings. 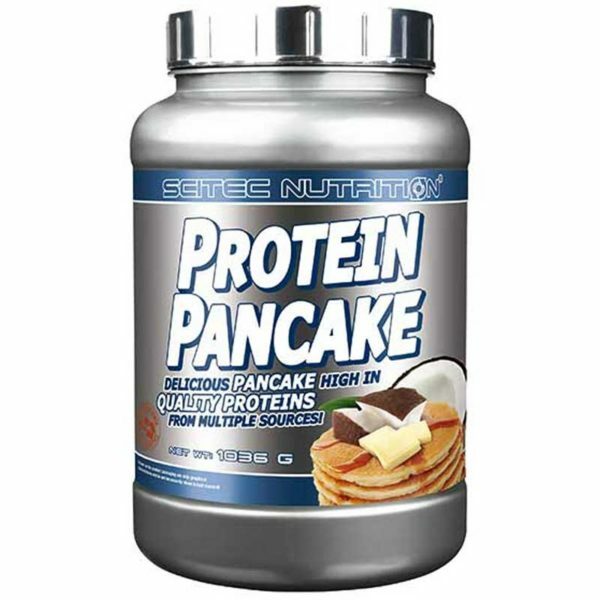 Mix 37 g (1 scoop) with approx. 1/2 scoop of skim milk or water. Shake or mix vigorously until it resembles conventional pancake batter. Poor it into a non-stick pan and fry on medium heat until it gets golden brown on both sides. 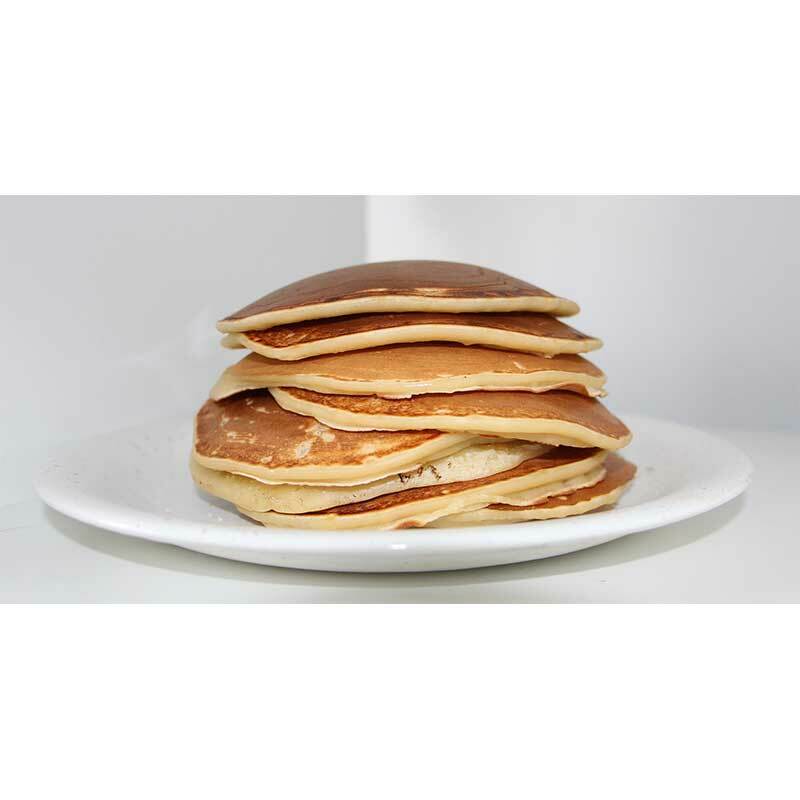 Experiment with the thickness of the batter, the size of the pancakes and frying times to make the exact pancake you prefer. 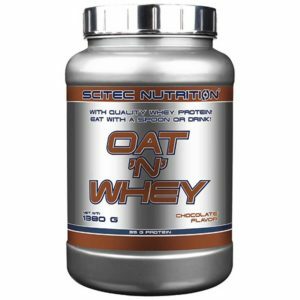 Oat flour (gluten), pasteurized and ultra filtered whey protein concentrate (from milk and soy lecithin), fatty milk powder, maltodextrin, coconut shreds, white chocolate powder (sucrose, cocoa butter, whole milk powder), egg white protein, micellar casein concentrate from Milk, quark powder from milk, yogurt powder from milk, bulking agent (sodium hydrogen carbonate), sodium chloride, sweetener (sucralose).